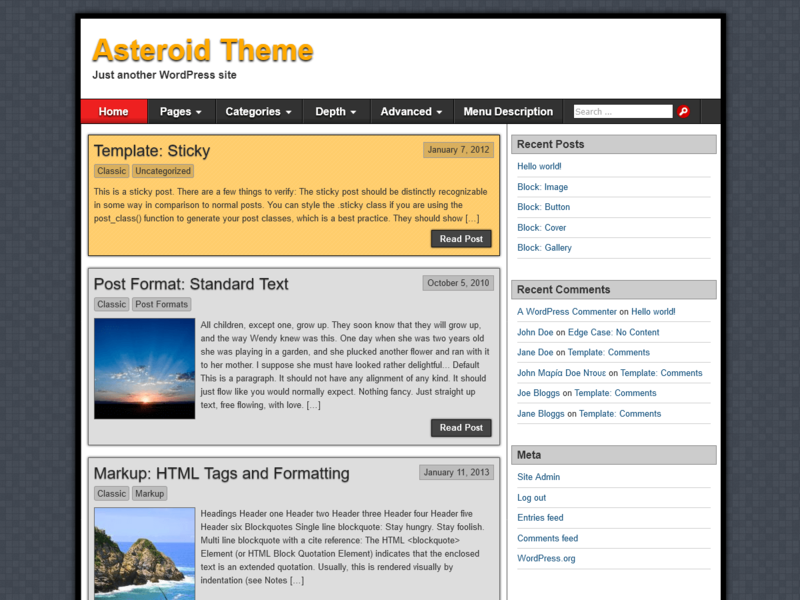 Asteroid is a simple, clean and responsive theme. It incorporates various widget areas that make management of banners and ads a lot easier, especially for ad-supported sites. The theme is ideal for use on a blog, a static website or both. The theme’s development focuses on user customization and minimizing HTTP requests to help conserve server resource. Asteroid supports RTL Language, custom headers, backgrounds, menus, full-width page templates and more.